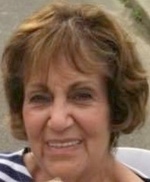 ANGELINA COSTELLO, 82, of Jackson Township, NJ, passed away on Saturday, May 26, 2018 at Jersey Shore Medical Center, Neptune, NJ. Angie was born in Brooklyn, NY and lived in Staten Island before settling in Jackson Township 12 years ago. Angie was employed as a dental assistant/dental billing for Richmond Memorial Hospital for 10 years, retiring several years ago. She was a member of the Women’s Club, the Italian-American Club and an avid Bocce player at Four Seasons in South Knolls. Angie was a warm and kind-hearted person who was loved by many. Angie is predeceased by her parents, Jack and Angelina Livigni; and by her son-in-law, Ray Tillotson. She is survived by her husband of 62 years, Nick Costello of Jackson Township; her son, Sal Costello of Staten Island, NY; her daughters, Joanne Tillotson of Howell Township, NJ and Diane Fleming and her husband Michael of Howell Township, NJ; her Sister, Christine Cuenin of Florida; and by 6 grandchildren and 1 great-grandchild. Relatives and friends are respectfully invited to attend her visitation from 3-5 and 7-9 PM on Tuesday, May 29, 2018, at the GEORGE S. HASSLER FUNERAL HOME, 980 Bennetts Mills Rd., Jackson Township, NJ. A Funeral Gathering will be offered at 8:30AM on Wednesday, May 30, 2018 at the funeral home. Her Funeral Liturgy will follow at 9:30 AM at St. Aloysius Roman Catholic Church, 935 Bennetts Mills Rd., Jackson Township, NJ. Interment will follow in Old Tennant Cemetery, 454 Tennant Rd., Manalapan, NJ. For directions, further information and to send condolence messages to the family please select a tab on the left.